Planning your next career move? Looking for your first job? Either way, you must know that the first interview is crucial in attaining any job. According to the Bureau of Labor Statistics, last June, there were approximately 4.7 million job openings, which means that there is plenty of opportunity out there. In order to succeed, however, you must present the best version of yourself. After all, the major underlying question in every interview is: “Why should I hire you?” In this brief period of time, employers strive to form impressions about your personality and skills, assess your credentials, and determine how well your background and skills fit with the position. 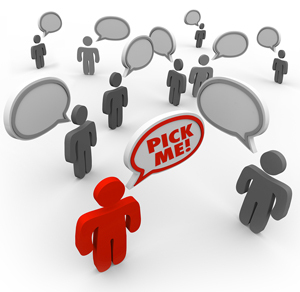 Essentially, every question you answer must illustrate why you’re the best candidate for the position. Research the company’s products and services, core values, mission, top executives and locations. Read any recent articles published about them and most importantly, make sure you use this information in your interview to demonstrate that you’re proactive and truly want the position. It’s always a good idea to drive to the location prior to your interview so you can make sure you know how to get there and where you should park. Google yourself. See what the company (and everyone else who looks, for that matter) can find out about you. If there’s anything negative, make sure you prepare a brief response explaining why and move on.This is also a great opportunity to make sure there aren’t embarrassing Facebook photos floating around the Internet. Prepare a list of likely questions. Common interview questions are easy to find on the Internet, and it is always beneficial to have an idea of what you’re going to be asked. Never underestimate the importance of preparation and knowledge. After you’ve compiled a list of questions, practice, practice, practice. Ask a counselor, coach, friend, or teacher to run through a practice interview with you. You don’t want to memorize your responses because sounding too rehearsed is almost as bad as sounding unprepared. This manner of practice will provide you with an opportunity to develop a general outline for common questions. Think about experiences and situations (preferably challenging) that you’ve encountered in the workplace which can be used to emphasize your accomplishments or strengths. Have a strong understanding of your goals and know how to articulate them. It goes without saying that your goals should directly relate to the position you’re applying for. Dress appropriately and conservatively. Even if the office has a casual dress policy, it’s important to dress professionally for the interview. Give yourself plenty of time to get there. Ideally you should arrive ten minutes early. If you’re going to be late, make sure you let them know as soon as possible. Conversely, it’s not a good idea to arrive too early. If this happens,wait before you go into the office. Bring a few copies of your resume, portfolio, and a completed application (if required). It’s also a good idea to bring a pen and notepad in case you want to take any notes. First impressions matter. Make sure you’re cordial to everyone you meet, starting with the receptionist. You never know whose opinion will matter in the end. Offer a firm handshake and make eye contact with everyone. Maintain good eye contact throughout your interview. Be positive and enthusiastic. When you’re discussing challenges you’ve encountered in past positions, emphasize the positives (think glass half-full). Also, never, under any circumstances, say anything negative about past employers. Highlight your achievements and talents. If you can relate any/all of these to the position you’re applying for, even better. Mention the research you’ve conducted about the company, position, and industry in general. Ask intelligent, pertinent questions about the position and the company. Prepare a closing statement that ties up all of the relevant skills, expertise, and personal attributes you mentioned during the interview, as well as anything you haven’t had a chance to discuss. Write a thank you note and send it within 24 hours after your interview. Bottom Line: Think about your interview as a chance to highlight your strengths, skills and experience. This is your one and only chance to make a first impression, so make sure it’s a great one.